The most important stuff first! I am just like you - unique and complex. I struggle with all the same human things everyone else does. I generally live my well but, I also have those days where I am not living in alignment with who I would like to be in a situation. This is when self-compassion, forgiveness, humility, and relationship repair skills become utmost important to me. I am perfectly an imperfect human being. I play many roles in my life including mom, corporate trainer, therapist, executive coach, and person-who-will-go-into-debt-for-books. Speaking of books, I am an avid reader, wordsmith, and fan of all things science-fiction-y and fantastical. You will see many references to superheroes, anime, TV shows, movies, metaphor, allegory, and imagery throughout my website. I am a huge fan of using pictures to convey complex ideas. Actively managing my health and stress is extremely important to me. This means, when I encourage you to take care of yourself and build self-care habits, I am not asking you to do anything I don't expect of myself. I am also a devoted mom to a twelve-year-old (who is in possession of a 200-year-old soul), an avid seamstress, a daily weightlifter, a beginning runner, and a maker of miscellaneous crafty things when the inspiration hits or when I have a strong urge to create. Doing what I love most - helping people move toward the life they want to live. In many ways, the life of a therapist chose me long before I chose it. As a child, I was always the one asking questions and caring for others' feelings and hurts. For a while, I did run from being a therapist. It seemed like a role laden with much responsibility. A profession for someone wise. Someone else. Little did I realize, being a therapist is some combination of curiosity, education (so you can ask the better questions), empathy, compassion, and artistry. It requires a love for others in a "we are in this together and you are just as worthy of care as anyone else" kind of way. After about ten years of working in the "real world", I went back to graduate school and gave in to the siren call of serving others in their journey of healing, wholeness, joy, and freedom. What I believe about therapy. My purpose is to help you develop the ability to think critically about your problems, to solve them on your own terms, and to gain control over your own thinking and behavior. I understand how important it is for us to self-soothe and learn to make ourselves feel better. When you learn how to do this, you’ll have the tools you need to move beyond therapy into a productive life of well-being. Brief and solution-focused therapy - therapy will take as long as it will take and not any longer. I am intensely empathetic and goal driven. I want to help you make the breakthroughs that will define new life patterns and create personal happiness in the shortest amount of time necessary. This is why I utilize specific techniques that significantly decrease time in therapy while remaining highly effective. A productive space - objectivity, collaboration, and experience makes a world of difference. Providing an emotionally safe space is critical to the healing process. I am here to act as a knowledgeable and trusted source for advice, providing the insight and coping skills necessary for you to move forward through your issues. Having worked for many years in the corporate world, I know how to communicate effectively and also with dignity. I do not judge or criticize. The big picture - therapy is about you as a whole person within the context of your life. I believe in holistic therapy that integrates all parts of a person's life. Often, my clients concentrate only on what they consider "the problem" and do not examine the other areas of their lives that might be contributing to it. By providing a total-life therapy that focuses on personal narrative, I can help you develop effective solutions and skills that address both your specific circumstances and needs as well as the bigger picture. Possessing a manner that is both compassionate and charismatic, Mineela forms deep and emotional connections with clients as they explore the struggles in their lives. Whether sitting on the floor coloring with children or crying at clients' stories of pain, she accesses a unique, authentic quality of caring that allows her and her clients to comfortably and effectively resolve the hold-ups and traumas keeping them from their full potential. 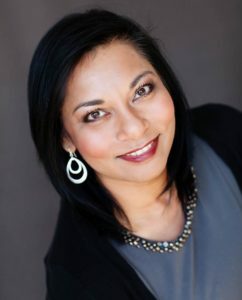 With almost 20 years of experience as a Marriage & Family Therapist, including four years working with children, and several more years of schooling and training, Mineela has developed a comprehensive practice that effectively aids individuals struggling with living their life with joy and freedom. Mineela loves her work. She takes pleasure in watching people progress, happily saying "goodbye" to clients as they achieve their goals.